While excitement is brewing for the new James Brown biopic to be released this summer, one freelance journalist is more interested in the legal battle over the Godfather of Soul’s estate. According to the Associated Press, a South Carolina circuit court judge has ordered the state’s attorney general to give Sue Summer the documents she requested under South Carolina’s Freedom of Information Act. For an investigation she is conducting, Summer wanted records that include the diary of the woman who claimed to be Brown’s wife after his death in 2006, an assessment of Brown’s assets and other such documents. Judge Eugene Griffith Jr. ruled that Attorney General Alan Wilson was “inconsistent with both the letter and the spirit” of the FOIA. Wilson had argued that he should not have to release the records because of the multiple lawsuits over the estate. Wilson has until next week to hand over the records. However, he has also filed a reconsideration request, asking for at least a 30-day grace period. Summer, for her part, is happy with the judge’s decision, explaining to AP that the reason she is so adamant about the story is that she wants to see that Brown’s final wish to help underprivileged kids in Aiken County and Augusta, Ga., is carried out. 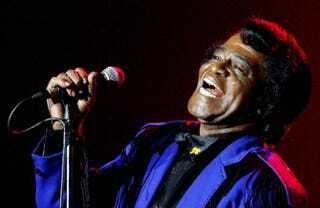 “It is past time for the secrecy that has surrounded the James Brown estate proceedings to come to an end. It is past time for the public to receive an answer to the question—after seven years, will Mr. Brown’s last wishes be honored in the state of South Carolina? The needy children Mr. Brown wanted to help with his education charity are waiting for an answer,” Summer said, the newswire notes. The contention over Brown’s estate—its value unknown but estimated between $5 million and $100 million—began after a 2009 deal made by former Attorney General Henry McMaster to try to bring an end to the numerous lawsuits over it. Half was given to a charitable trust, widow Tomi Rae Hynie received about a quarter and the rest was divided among his children. The South Carolina Supreme Court later tossed that settlement, AP notes, arguing that it went against Brown’s wishes for the majority of his wealth to benefit charity.